A few days ago the folks from SHAPE Services let us know that they completed their most recent build of IM+ Pro for BlackBerry. This latest release adds in support for the BlackBerry Torch 9800 as well adds support for upcoming BlackBerry 6 devices and those capable of upgrading. Aside from the newly supported device, SHAPE services also added one new feature to the application. 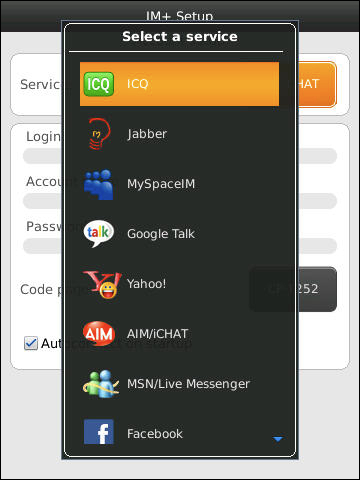 That feature, is the ability to integrate your chat history with IM+ for Web. Now, you can go back and review your chats that took place on your BlackBerry any time you do so wish.